Bookings will end on 28th February 2017, and, as reservations for the course will be accepted according to booking order, please note that a limited number of places are available, and that bookings will only be finalised once the form has been completed, and payment has cleared. Please also note that we reserve the right to cancel the workshop, should the minimum number of places fail to be achieved. Contemporary audiovisual culture is constantly present in our lives, and perhaps is the most effective way to reach our emotions. Music videos, opera, ads, video art pieces or architectural mappings are examples. 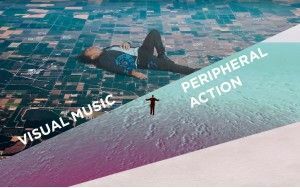 From a practical point of view, the course will review the evolution of the visualisation of music, from abstract painting to interactive projects or 3D printing, through synaesthesia and VJ. 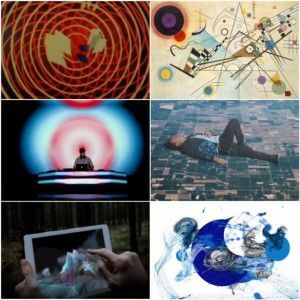 While briefly reviewing more than 100 years of this fascinating relationship between sound and image, students may make their own different audiovisual creations using various techniques, from simple illustrations, creating storyboards for music videos, or by using computer graphics tools for mapping and real-time VJ as software Resolume. Each session will combine theoretical content with many examples of video, and with a practical exercise, linked to the subject of the session. 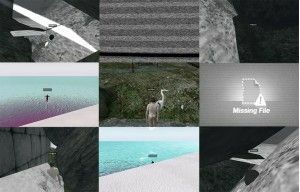 The course aims to explore several artists' works, and offer a glimpse of the different ways of approaching these kinds of audiovisual creations, focusing on the most contemporary examples, and emphasising practice. 1st session: Introduction what is visual music? Brief review of precedents and early examples: abstract painting, avant-garde video of the twentieth century, cinema, architecture, visual music sheets, synaesthesia. Practices: Musical Drawing. Musical styles and emotions. Creating aesthetic videos. 2nd session: Music video, description, origin, classification, styles, new formats. Infography. Cymatics. 3rd session: VJ, concerts and AV sets. What are they? the use of different software tools. Practices: Introduction to Resolume, VJ and mapping software. MIDI control for live shows. 4th session: Live shows, live projects. Introduction to Creative Programming using examples. Featured artists and contemporary music visual projects. Practices: Creating a Live Show. Installation of visual music with mapping. Anyone with a very broad interest in visual and musical arts, since no prior knowledge is required, while familiarity with computing environments will help in the practical exercises. Especially for people interested in the world of art, design, new technology, audiovisual, and musicians in general with visual sensitivity. Having trained to be a Telecommunications Engineer, he soon made the leap to artistic expression, always seeking to build bridges between art and technology, and between artistic disciplines, primarily visual and musical. In his career he has directed numerous live opera events, concerts and recitals from the Gran Teatre del Liceu in Barcelona, has made his distinctive mark on the artistic direction in the staging of bands, music videos and video art pieces, as well as on live projections and mapping techniques for musical events. In addition, he was director of FIMG International Mapping Festival of Girona in 2016, and is continually researching the connection between emotions and mathematics, as well as that between stimuli and senses, the well-known synaesthesic effect. PERIPHERAL ACTION is a 2-hour session in which to roam through Second Life * scenarios. The action consists of a walk with the workshop participants bordering the limits of some of the SL scenarios. During the first part of the workshop each student will choose an avatar and make a first recognition of the software, then find ourselves in the same scenario and embark on a walk towards the border, each SL universe is programmed with specific limits, which are usually under water. Second Life could be considered as a "vintage" scenario within the digital context, and the way it is programmed causes many glitches to occur when avatars interact with borders or solid elements, it is these glitches that we try to document as a metaphor of the border, the wall, the limits and the body. 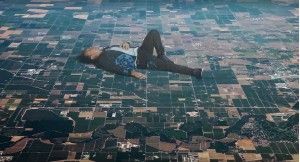 This will be a symbolic action in which a group of people explores the confines of a digital universe, and the way the bodies interact with the border will be documented by screen captures (video and photo). To conclude this workshop, the compiled images will end up in a publication documenting the action. The idea is for students to use a digital world-creation tool, normally used for the construction of parallel identities and social interaction, in a transgressive way, but in this case the use we will make of the platform will bear little resemblance to the makers' objectives, as participants will occupy and act upon these spaces in order to develop a discourse which speaks of the border, the individual and the body. * Second Life (abbreviated SL) is a metaverse released in June 2003, developed by Linden Lab, which may be accessed free of charge on the Internet. Its users, known as "residents", access SL by using one of the multiple interface programmes called viewers, which allow them to interact with each other through an avatar. Residents can thus explore the virtual world, Interact with other residents, establish social relationships, participate in various individual and group activities, and create and trade virtual property and offer services between them. SL is exclusively for people over 18 years. 9am / Presentation of the objectives of the workshop. 9:20am / Explanation of the Second Life platform, and how to control the SL camera. 10:00am - 10:40am / Meeting of the group in the same SL scenario, recognition of the geography, and a group walk around the periphery, with parallel documentation of the journey by means of screenshots by the students 10:40am - 11:00am / Presentation of results, and compilation of catches for publication. 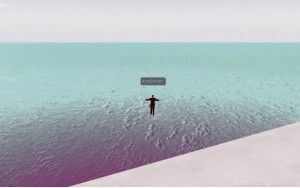 People of any age who are interested in exploring Second Life scenarios and the parallel uses of this platform, through artistic practice. Selection of solo and group shows: (2016) Long live the old flesh, Nogueras Blanchard, Barcelona, España / (2016) Intervalo, Casa Hoffman, Bogotá, Colombia / (2016) No somos tan raras, Galería Combo, Córdova, España (2015) Periferia Blend, Homesession, Barcelona, España / (2014) Metacollage, Galerie T, Düsseldorf, Alemania / (2014) L’air du temps, me & the curiosity, Barcelona, España / (2011) Les Habilitats, CCCM, Barcelona, España (2013) Un vie à la gomme, Galería Maserre, Barcelona, España / (2012) Dandy, Galería Dama Aflita, Oporto.